Marvel Comics creator Stan Lee has personally hand signed this Spiderman Movie 16" x 20" photo. 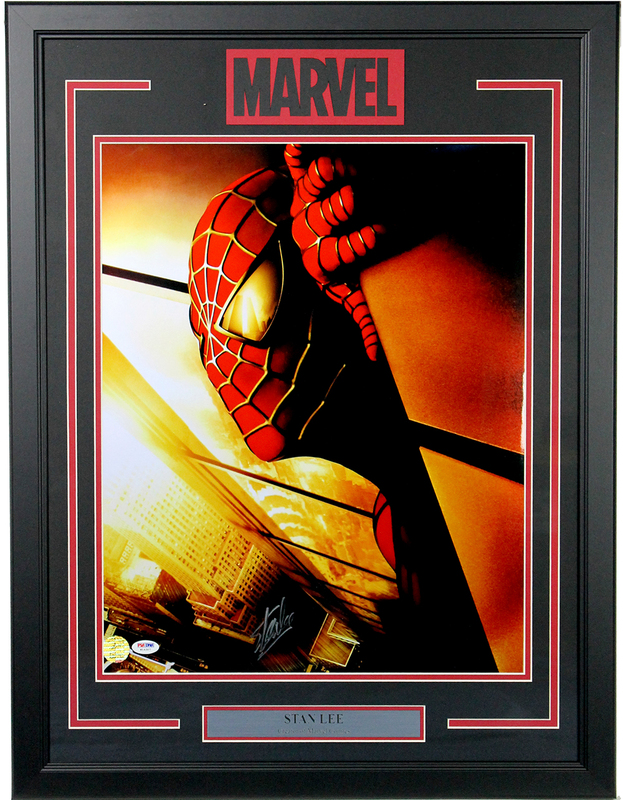 Each photo has been framed with deluxe red & black double matting and a Stan Lee name plate. Each autographed photo includes a Stan Lee Excelsior! Approved authenticity hologram. Note: Frame size is approximately 22" x 28".